Yesterday, I mentioned that I’m trying to figure out how to give back. I was a little stumped, but then stumbled into a Twitter chat with Olivia from Birds of a FIRE. She had a suggestion for me which turned into this guest post. But first, a little more about Olivia. She’s 25 and currently resides in New York City. When she becomes financially independent, she hopes to start a YouTube channel that chronicles her world travels and stuffing her face with delicious food (her words, not mine). In other words, she wants to start a channel like Strictly Dumpling. No, she’s not kidding! She currently blogs about financial independence, hacking luxury for free (travel hacking, Yelp Elite, etc), side hustles, and is quite obsessed with arbitrage. In trying to give back to the PF community, she created a 20,000+ word 3 week course on financial independence and personal finance. It’s free here with the spreadsheet that she used to trim her expenses one category at a time. In mid-December of 2017, I was moving all the stuff out of my apartment with my boyfriend (FireBear) in an effort to save money. I was only outside for about 20 cumulative minutes, but it was so cold that my face and hands hurt, and I was getting a pounding headache. Not the best choice of event to save money at the time. I complained a ton and was in a pretty bad mood. We drove past a homeless person in Midtown, and I was overcome with a sense of sadness. If I was having such a terrible time with just 20 minutes of being outside, this guy must have absolutely had no choice to be panhandling for money. I fished $20 out of my pocket, rolled down the window to hand him the money, and wished him a Merry Christmas. That scene has stayed with me ever since. You give a poor man a fish and you feed him for a day. You teach him to fish and you give him an occupation that will feed him for a lifetime. I wish I could’ve helped him more; worked with him to get him a better resume, maybe given him mock interviews, found him a job somewhere, or just even driven him to a homeless shelter. But I know that’s somewhat wishful thinking. I know poverty and homelessness can’t be solved just like that. But at the same time, I didn’t want to just give money anymore. I wanted to give my time to better someone’s life in the long term. Because if I can help one person permanently each year, I’d make a big difference. And if even one percent of the population starts to think like that, it would change the world. A few weeks later I was at a friend’s apartment for a New Year’s celebration. 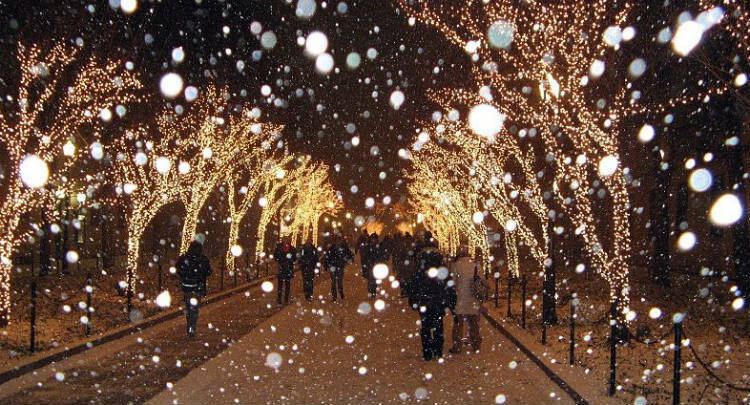 New Year’s Eve is a time where you want to change your life and make it better. Do better for the world. About an hour before the clock struck midnight, I was talking with a friend who had worked in the non-profit world for nearly a decade, and I asked her if there were any skills-based volunteering groups. I wanted to give something back, but I wanted it to be skill-based because I had heard most non-profits use volunteers for simple tasks. I felt it would be more optimal and efficient to use volunteers for their specialized skills. Joyce told me to check out Catchafire*. It’s a website that matches you based on skill. All projects are conducted remotely. There are a lot of phone consultations for organizations who are trying to start something new and different long-term projects. If you’re looking to give back full-time in a non-profit, I’d argue that you should be selfish first and give to yourself first. Make sure your student loans and other debt are paid off, and that you have enough to sustain yourself. Because you won’t be helping anyone if you’re not in great financial shape first. If you’re in your 20s and 30s and hustle hard, you should be able to retire in less than a decade. Once you’re FIRE, you can volunteer full-time should you wish. Do you really want the one programmer who volunteers with a soup kitchen to be serving food? I’d want that one person to fix my website, automate my tasks, etc. The more skilled you get, and the rarer your skill, the more impact you can make donating your time instead of money. If you’re a doctor, donating a few hours to a free clinic each week for those who can’t afford a co-pay or deductible is worth more than any dollar amount you could donate. If you’re a lawyer, practicing pro-bono for low-income households is the same concept. If you’re any kind of professional or contractor, all the above apply. Your skills are worth more than your dollars in some cases. Has Skill Based Volunteering (SBV) Been Done Before? 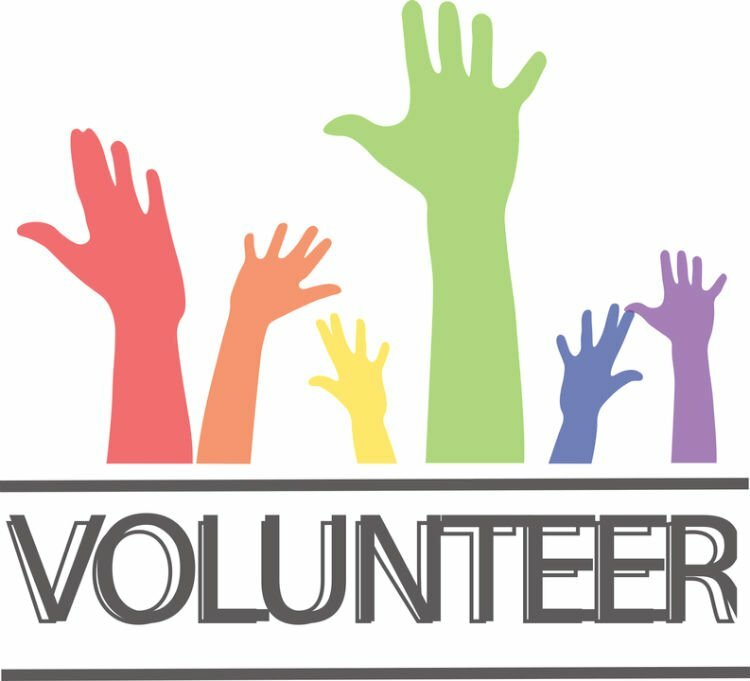 After hearing about the ACA website debacle, where devs and programmers from the big 4 in tech volunteered their time for free to fix the Obamacare website, I thought that the best way to volunteer should be based on skills if you really want to make a scalable difference. That’s the kind of difference that will last if you move on to a different project. I’m sure whomever you are, you have an incredible skill and you can use it to help someone. Sometimes, giving away your skilled time is better than donating a few bucks here and there. There are tons of skilled needs for non-profits, and it might also be a good way for some people to get into freelance work. You can offer your skills for free and when you produce results, corporate clients might come knocking at your door. 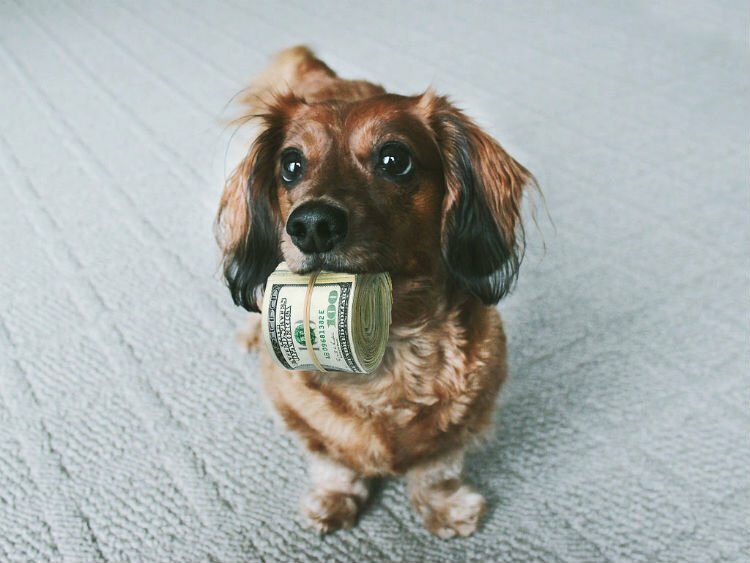 Helping others will make you feel better than this puppy and its giant wad of cash! For those of us who aren’t FIRE yet, it’s a good way to give back while still saving towards freedom. If you have giant student loans, it might be a better idea to give away your skilled labor rather than donating money towards charity. I’m volunteering at a local library to teach standardized testing, something that will have a long-term impact. If you’re a big blogger like Carl, just lending a non-profit credibility by tweeting about it and featuring the charity on your blog might be a great way to give the non-profit exposure and give back :). See? Sometimes, free things are better. I’m sure CatchaFire will get a small traffic bump from this post. Or maybe Carl can become a team leader at Habitat for Humanity? All his carpentry and building skills have me quite amazed. Not everything has to be a monetary donation. Sometimes the skills you bring to the table are more valuable than dollars. I’d encourage you to check out CatchaFire or simply google “skills-based volunteering” if you are looking for a way to give back or look around your community for non-profits that need your amazing skills. I’m quite sure you have some :). *I do not work for CatchaFire or have any relationship with them. I just think it’s a cool website and skills-based volunteering is an awesome concept. Great ideal Olivia. Sometimes giving times is more valuable and accessible than giving money. Being able to give time that’s more valuable rather than serving soup is an incredible idea. I’ll be sure to check out Catchafire. Thanks for sharing. Thanks Jason! Happy to hear it! Hope you find what you’re looking for :). Thanks for sharing. I have never heard of Catchafire, but will be sure to check it our. Thanks for sharing your thoughts! I think skills based volunteering or even being a mentor is a great idea. At this point its easier to give a little money then it is to share my time, hopefully that eventually changes. For now, I like to think of my writing as both a creative outlet for me, and an inspiration for others. It also provides me with a free outlet to share some of my knowledge and skills! Keep up the good work Olivia! PedalsforPennies recently posted…Sometimes it’s just to impress a girl. Thanks Pedals for Pennies! I think if you chose to give back that is an awesome thing :). No need for anyone to tell you the right way to do it! Everybody who is Asian stealing ma dreams!!! I’m going to be Strictly Dumpling! Not you!!! Not Ms FAF!!! Waaaaahhhhhhh..
No omg. You’re great and can do a better job than me probably. Promise you’ll YouTube collab with me!!! Anyway, I feel like your message simply doesn’t get said enough. People’s so linear with the concept of giving. There’s more than one way to crack an egg. Hahaha. We can all be the nest Strictly Dumpling! The female version! Seriously, Asian women love to take pictures of food, why don’t we have a Youtube channel for it hmm…? Yes, let’s collab! At first I was like, who in their right mind would watch people eat food on Youtube. Then I realized… oh, me! If we each just help a little, the world will be a bit better everyday :). Great post. I haven’t heard of Catchfire so I will have to look at it. I mostly volunteer for my community. We have miles of single track hiking/mountain biking trails that a group of us maintain and our town provides many free public events that need volunteers to help pull off. I do like the idea of skills based volunteering now that I am heading up in age and can’t keep up physically with the youngsters. That’s so cool! Back home we would go on hikes every month or so and I always wondered who maintained them. That’s a great idea :). ThatAt work we sometimes volunteer for orgs like food kitchens, and none of us are really ever asked to help with the actual running of the kitchen as far as marketing, website, or financials etc. Matching skills could be a great use of each parties time. I’m sure if a group of you helped with the marketing/website/financials you’d do great work :). And once you fix it once and insert an automated process or system in place, it builds on the next group to improve! Agreed! Thanks for the great post, Olivia! I’ll be taking my anesthesia skills to Honduras for a week in May. I’ve known a number of docs who have helped out on similar medical missions, and I don’t know a one that’s regretted it. It doesn’t get you closer to FI — our cost is a $2,000 donation and four round trip flights for our family to do this — my wife and kids will help out at the on-site orphanage — but the experience should be well worth it. It wasn’t until I was FI that I took a keen interest in seeking out this type of volunteer service. It’s easier to spend money in this way when your goals have already been reached, but I wouldn’t discourage anyone from being generous along the way. Nice work PoF! Your giving is an inspiration. That’s awesome, and very generous of you guys! Looking forward to reading about it on the PoF blog soon! I’m learning how to raise kids from you haha. The Mexico/Hawaii trip and now this. Makes me feel like I can travel with the kids and not have to stay in one place if I truly want to. I have considered volunteering before, but not Skills Based Volunteering. It makes so much sense and something I am going to look into. I am a big believer in giving (mainly money) and I am always challenging myself to give more. Thanks Leon! That sounds great :). And good for you for giving money too! Each is important. I’ve been thinking about this too. Giving cash to a homeless person isn’t a good idea. I prefer to give the food bank or various non profits the serves their community. We have a lot of homeless people here and I see them everyday. There are a ton of problems within the homeless community. Drugs, vandalism, public disturbances. Last week, we saw one guy took a dump at the front lawn of our building. Anyway, I give to the food bank instead of giving cash. Apparently Jetpack will tell you how long your site is down for (but for some reason my actual host, hostgator, cannot do this). 😀 Please break the site more with great traffic. Haha. That’s very true! At my local library there’s a lot of programs for adults who are wishing to get their GEDs, tutoring kids for the SATs, after-school tutoring programs, coaching the green card test, etc. Maybe there is one for teaching a course on programming :). Great message Olivia. I really think that by just doing what you do well, you’re going to be giving to someone in some way – whether or not you focus on specifically what your giving and to whom. I think he is! Most people don’t think about giving back, so it’s great to see a blogger who is out searching for ways to do it the most efficient/best way possible. It also allows for him to reach a bigger audience and spread the word about giving back :). The last link to catchafire in the article seems to wrong…. Yep, thanks for pointing that out! Fixed! Great post and a nice reminder of how to get the most value volunteering time. The second link to catchafire is broken. Having been FIRE for a couple of decades, I think you are on the right track talking about ‘giving’ and ‘giving back’. I do think there are some additional paths to consider — family and local. Both with dollars and skills. Our grandkids will have at least a year of college via contributions by us to a 529. For us, each kid gets $2,500 at birth and $1,000 annually until they are through school. Since we, the grandparents control these 529’s, they never make the financial disclosure statement of the kids. We also give our neices and nephews $500 per semester while in college just to give a bit of a cushion. With our kids and extended family we have offered career advice, temporary housing and even jobs in our companies. Active involvement with the extended family will improve lives that are close to us and matter greatly. There is a lot that can be done by the well off member of the family and thats a good use of time and money. Locally, more of the same. My wife is volunteering at the local hospital as well as many local civic events in our town. The local group that ‘helps’ an in town state park is always short on contributions and our support, small as it is, makes a big difference. When some locals wanted to set up an annual community classical music event, our money (along with many others) kept them alive in the early years. My neighbor next door did the same … time and effort to rescue the local historical society. The church and the local organization for support of the local poor spend my money wisely and I can see it at work. Our family fast food business gives jobs to mom’s who need a few extra dollars, kids starting out, oldsters who need a litte extra and the hard working twenting something who didn’t make it out of high school. This is real help. If you start a local business, you ‘leverage’ your ability to help. Think of it as an advanced form of skills based volunteering. Yes, there should be support of larger issues and programs but family and local is a good place to start. It makes a difference that you can see every day. Bob, what a wonderful comment. Keep up the good work! Keeping it local must be gratifying too. A large organization can be efficient, but you don’t get to see the money in action. I so agree with the sentiment, a few years ago I started volunteering my time, and found it a great way to meet lovely people, and do a little bit of good as well. About a year ago I decided to level it up, and move from generic anyone can do it volunteering, to one that used my skills and experience.. So now I’m treasurer of a non profit – it’s been really interesting and I know I am helping them out considerably. So great to see a post on this! A few years ago, I heard a piece of lyric in a song about giving of your time and talents. It’s always stuck with me. but I’ve found it challenging to volunteer because a lot of opportunities are geared towards people who are free during the day, or you have to know the right people to get a plum position on a board or something. (I just want to help out – not play politics in my free time). A friend of my recommended Charity Village – it’s another site for jobs and volunteer opportunities in the non-profit sector.